To me nothing is more important than getting my kids up and active. Nowadays, kids just sit inside and play on some kind of electronic device, my oldest will seriously disappear into his room for the whole weekend! 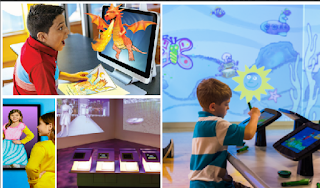 Crayola Experience is a great way for everyone to get what they want. When you pull up to the Crayola Experience located at the FL Mall in Orlando, you are welcomed by plenty of Crayola crayons which make for great photo oops. Then once inside there is a small interaction area in which you can control/be a crayon. My daughters and I had fun playing with the animation. 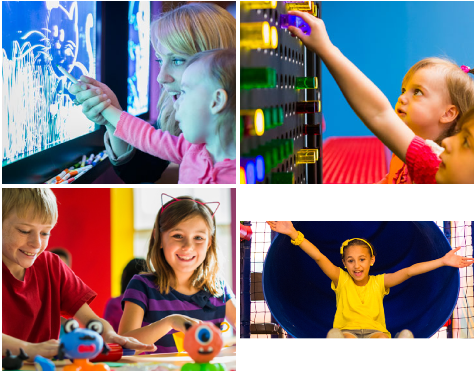 When you get your ticket to Crayola Experience you get 2 tokens per ticket, tickets are $22.99 over 3 years of age at the gate. 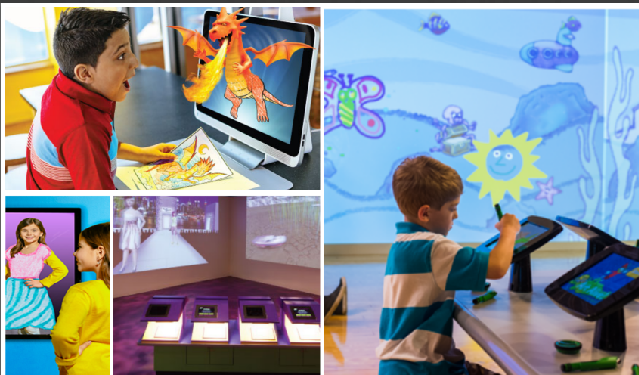 You can almost always get a deal on Groupon & on Crayola Experience site, 3 and younger are free. You can also purchase more tokens once inside the building. All the fun takes place upstairs. The lower level is where you purchase your tickets, a gift shop with great prices and its own candy station, and the interactive crayon. There are 2 ways in which to get upstairs one is to climb stairs......great work out and the other is to take the elevators which are nice and roomy. For the adults they have FREE yes FREE charging stations! 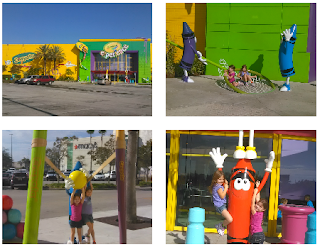 So you are able to get lots of pics and videos of your fun time at Crayola Experience. They also have lockers in which you can purchase for the day. When you first come up the stairs, the first thing to do is to make a crayon at the Wrap It Up! station. For this you will need a token, my daughter's enjoyed naming and creating their very own crayon. The next thing we did was Be A Star which was really fun because you were able to pose with one of 5? Crayola crayon scenes and then become a coloring sheet! After we made like every sheet possible we check out the Doodle in the Dark, which is a room in which you can color neon. At the Crayola Experience they have 2 play areas one for toddlers Toddler Town and another for older kids Color Playground, they have a huge Colossal Caddy which has tons of crayons and Crayola coloring sheets. Modeling Madness is another area which you can use your token to get a pack of modeling clay and practice your skills, this is where you might wanna purchase more tokens so you can get more colors to really make your model pop. The other places which I saw for tokens were a crayon dispenser which gave you a pack of 4 crayons & a marker dispenser, these were both located between the Doodle in the Dark and the Color Playground. Art Alive, Color Magic, and You Design are all areas in which tech meets old school. With Art Alive you color your picture scan it and it will come to life. You can move it around and take a picture with your creation and send it to friends and family via email. The Color Magic you are on a tablet in which you select which item you wish to color, after you have created your masterpiece it will come alive on the big screen! You can watch for it to show up throughout the day as well. The You Design you can color a fairy which comes alive dancing or a race car, which we didn't do the car but I am guessing you race it? Hungry? The Crayola Experience has a full cafe, Cafe Crayola, in which you can purchase lunch or snacks, you can even purchase a souvenir cup which refills are .99 cents each. They have small shows which you can watch while you dine. Once your full and happy go check out the Rainbow Rain another interactive screen which has the colors red, orange, yellow, green, blue and purple pouring down but as you walk you move the water. More fun things to do in which you can take home are the Melt & Mold and the Drip Art. 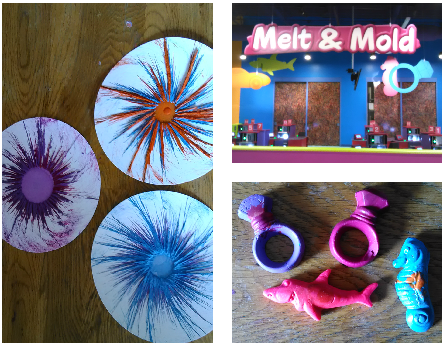 At the Melt & Mold you can pick your favorite color crayon place it in one of the 4 molds which you can pick a shark, sea horse, ring and car. The Drip Art was my favorite, you pick your 2 favorite colors place them in a machine and it starts melting and spinning your crayon, which no two come out the same. 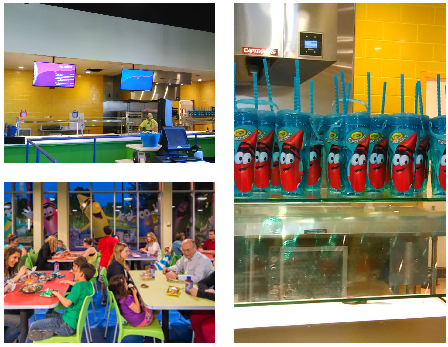 The last few things which are in the center of the Crayola Experience are the Meltdown which you can create your own personal pic with melted crayon, the Paint Palette, which is a bunch of watercolors and to make the process faster they have 2 huge drying stations which are giant oven like blow dryers. 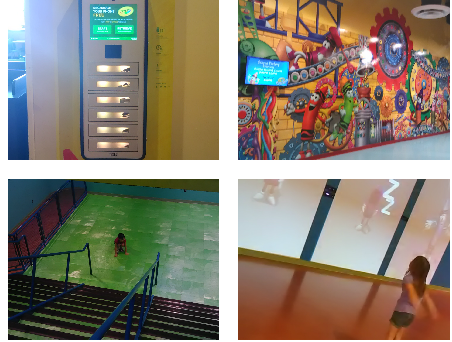 The Scribble Square, a place which everything is white and needs color, so there are markers, crayons, and even chalk so you can decorate the walls, street, trees, dogs and more. Because I was on a time crunch, I was unable to check out the Crayola Experience Crayon Factory which was located right behind the Wrap It Up station, this is a fun live show on how exactly Crayola crayons are made. Wanna have a birthday party? 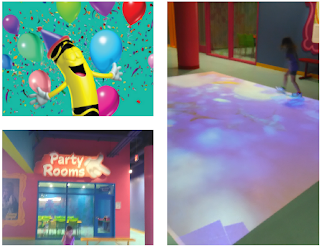 Crayola has 3 party rooms and a really cool interactive dance floor which everyone can enjoy. You can find out more about booking a party here. 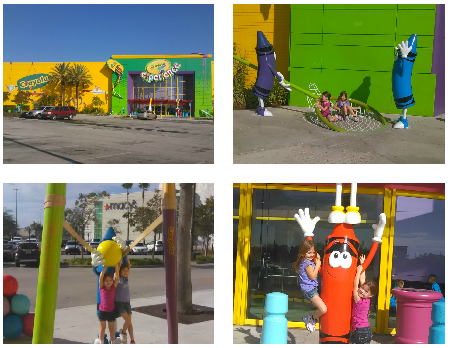 My kids had a great time at the Crayola Experience and for $29.99 you can enjoy a annual pass. Also be sure to check out the Events Calendar before you come, they have Clinique, and soon Nasa will make a appearance.